Want to bring your girlfriend to a romantic Italian meal but don’t have the budget? Good news! Now we can have romantic Italian fine dining meal that won't burn a hole in your wallet, only at MARCO Creative Cuisine. 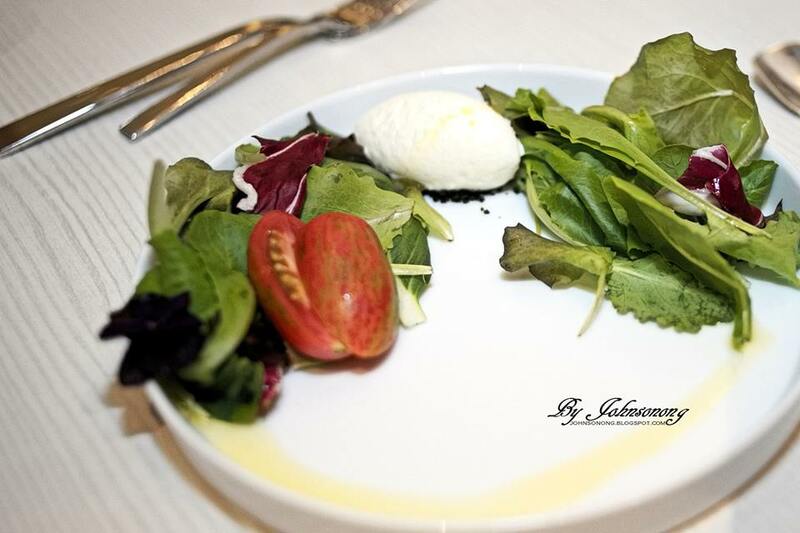 MARCO Creative Cuisine is an ultra-modern gastronomy restaurant in One Utama (Old Wing) where you can experience fine dining at an affordable price, but not compromise the fantastic Italian food. 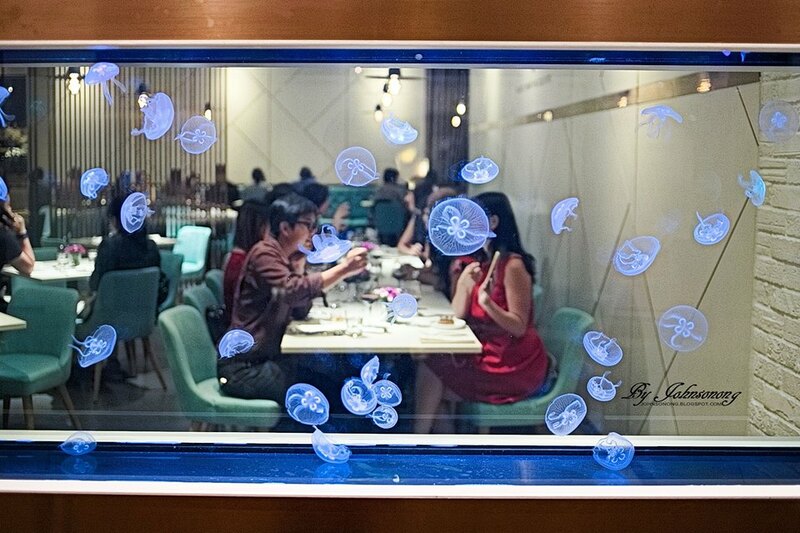 Diners would be greet by the waiter at the entrance, and can enjoy watching the cool jellyfish inside the aquarium. 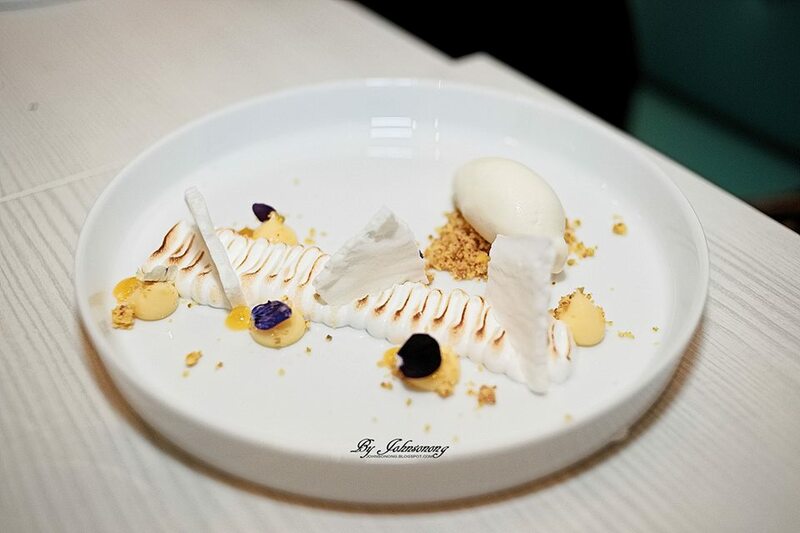 It offers a clean and modern interior in this spacious restaurant. 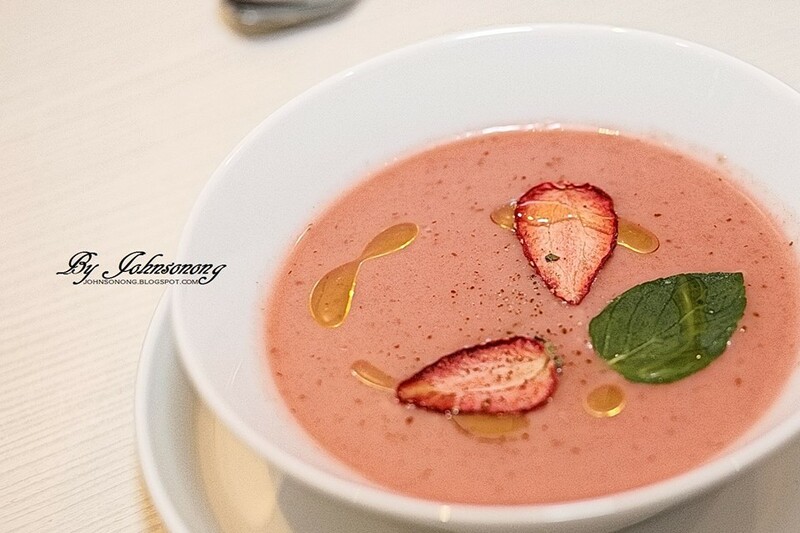 MARCO Creative Cuisine has introduced ‘The Journey of Flavours’ recently. 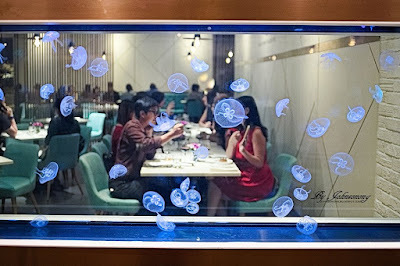 It is a 7-course menu that is hand-crafted by the talented and experienced Chef Daren Leong using fresh artisan. 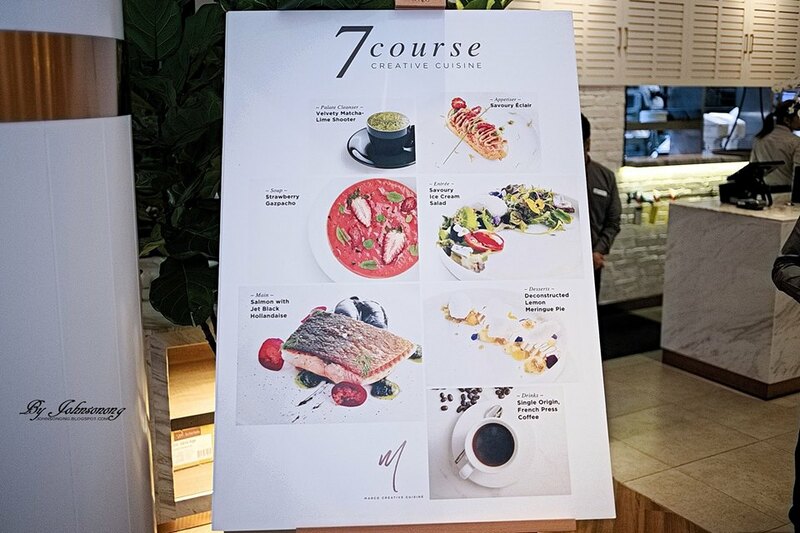 Priced at only RM78 per pax, diners are served with palate cleanser and Savoury Éclair, and diner’s choice of Soup, Entree, Main, Dessert and Drink. Chef Daren Leong made every dish from scratch, right from making stock and butchering poultry in-house. Hence you can be assured of the fresh and tasty dish at MARCO Creative Cuisine. Not long later after we have placed our order, we were served with the chilled Velvety Matcha-lime Shooter Foam as refreshing palate cleanser to get our taste buds ready for the exquisite dishes. 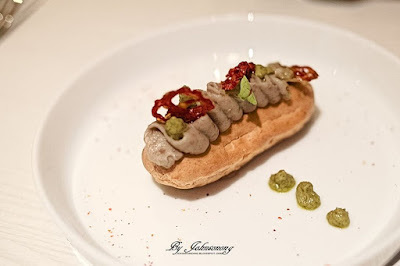 Everyone was served with a unique appetiser, Savoury Eclair, a Gruyere Flavoured Pate a Choux decorated with Aubergine Caviar, Green Chile Pesto and Tomato Confit. There were three soup options to choose from, including the French Onion Soup with French toast, chilled cold soup Strawberry Gazpacho, to creamy Truffle Mushroom Soup. The chilled cold soup Strawberry Gazpacho taste very special and it is recommended to try this out if you are adventurous enough. The entree available including Chicken Liver Parfait, Garden Plater, and Savoury Ice Cream Salad. 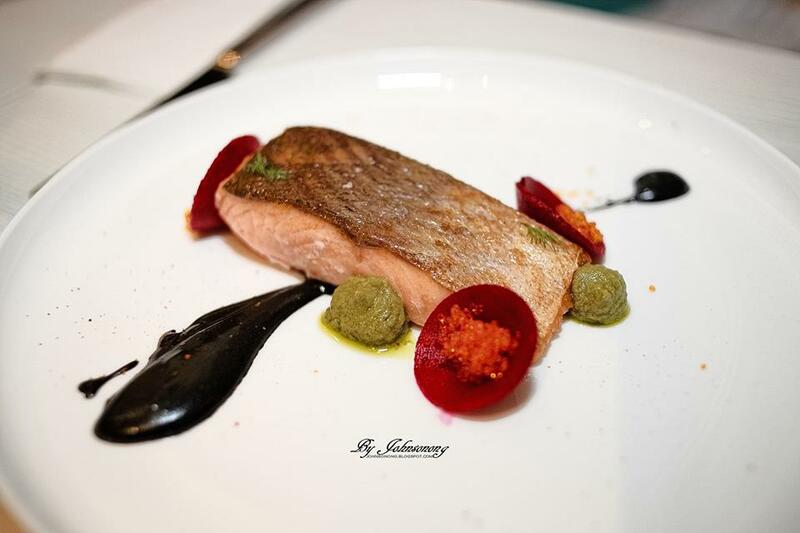 For the main, there are 6 selections including Duck Breast with Orange Puree & Roasted Beetroot, Chicken Roulade with Brussels Sprouts, Squid Ink Japonica Rice, Pomodoro Cream Seafood Pasta, Vegetarian Arrabbiata, and Atlantic Salmon with Squid Ink Hollandaise, garnished with Pickled Beetroot and Green Chili Pesto. Desserts at MARCO Creative Cuisine including Raspberry Decadence, Deconstructed Lemon Meringue Pie to Creme Brulee with White Chocolate Sherbet. They all are pretty to see and yummy to eat. The drinks available are coffee, tea and sparkling ice berry. Overall, we love our experience at MARCO Creative Cuisine, from its epic feast of beautiful Italian food to its super friendly price tag. 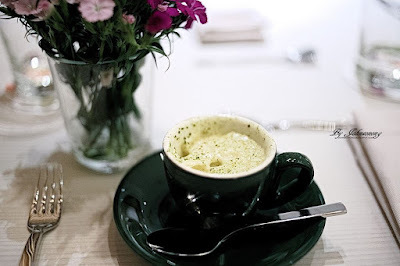 It is indeed a super great place to eat when you crave Italian food. MARCO Creative Cuisine is a Pork Free restaurant. For a seven-course fine dining experience, this is really a wonderful dal. I would want to go there too, if I have a romantic partner. The food looks amazing, would love to try it out. the food looks so nice and delicious! !Make me hungry now! This is definite worth it and I am taking my parents there too. The Savoury Ice Cream Salad is so so special. Wow~ The foods look so yummy! Will visit soon.